Josiah Smiddy has been selected as the new conductor for the Southwest Symphony Society Orchestra, according to Kay Burtzloff, president of the local non-profit. The former conductor, Charles Jeffrey, moved to accept a new teaching position in Oklahoma. Smiddy’s background in includes studying music education at East Texas Baptist University in Marshall, Texas. While a student at ETBU, Smiddy studied tuba, his primary instrument, and trumpet, his secondary instrument. As part of his studies, Josiah performed with the university’s marching and symphonic bands, chapel choir, concert choir, and tuba quartet. In addition to performing in student ensembles, Josiah also performed with the East Texas Symphonic Band in Longview, TX. Smiddy also performed with Frontier Drum & Bugle Corps of Dallas, Texas, and volunteered with the music and visual staff of the corps for two seasons. Josiah worked as a music technician with several high school bands in the east Texas area. 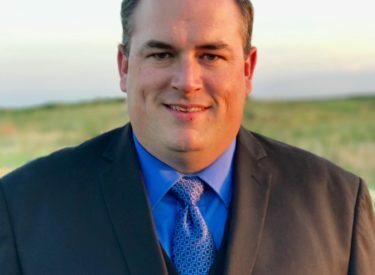 Josiah spent five years as the music minister at Oak Grove Baptist Church of Harleton, Texas, and Woodlawn Baptist Church of Woodlawn, Texas. After moving to Garden City, KS, Smiddy became a police officer but continued his work in music by performing with Tuba Christmas and working on orchestration and arranging projects. In 2011, Josiah moved to Liberal and is currently serves with the Liberal Police Department. He has done some performing intermittently until he joined the Southwest Symphony Society in 2016. Smiddy is married to Angela Smiddy and they have two boys, Matthew and Mark. Angela Smiddy is a well-known singer in the area and has performed previously as a guest soloist with the Southwest Symphony Society. In his spare time, Smiddy is also a volunteer firefighter and amateur woodworker. The Southwest Symphony Society is a Liberal non-profit organization dedicated to promoting classical and contemporary music in the community utilizing the talents of local and professional musicians. For more information about the society, contact Burtzloff at 629-0203.